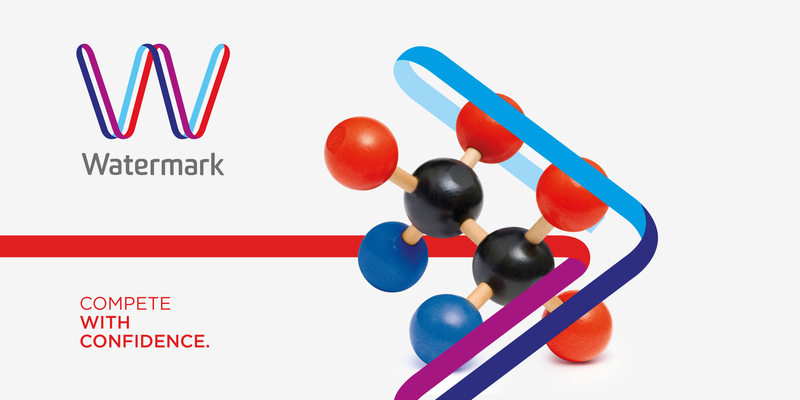 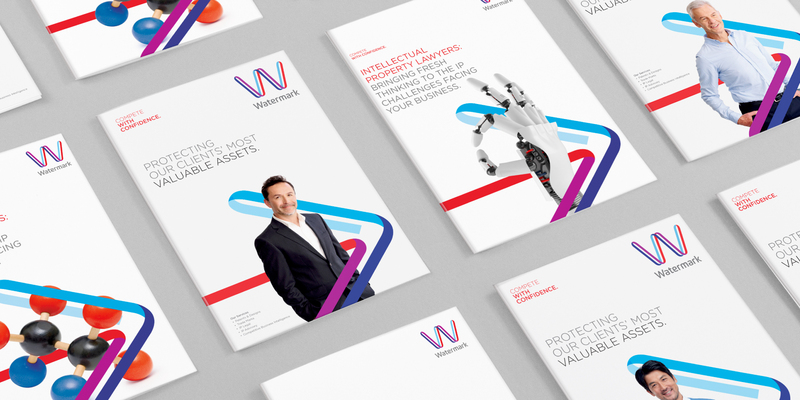 Founded in 1859, Watermark is Australia’s oldest intellectual property firm renowned for delivering exceptional client care to match its peerless IP knowledge. 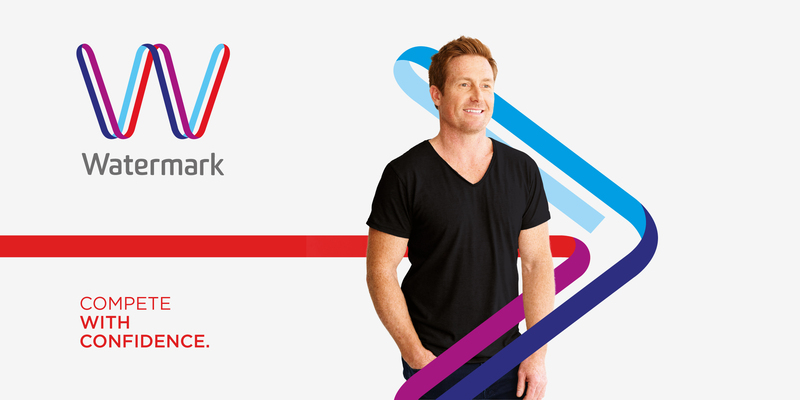 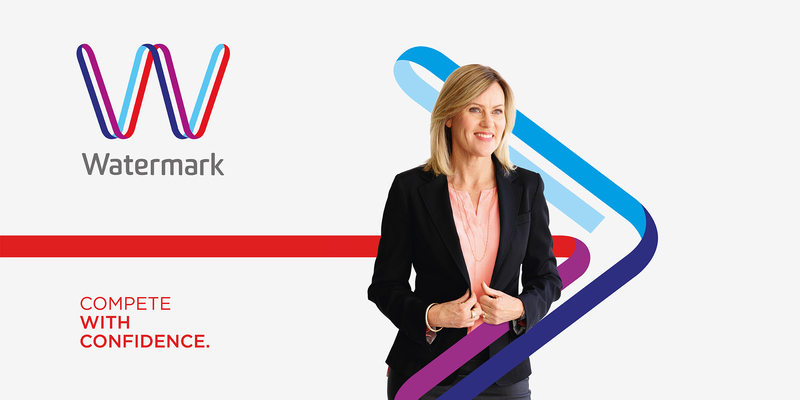 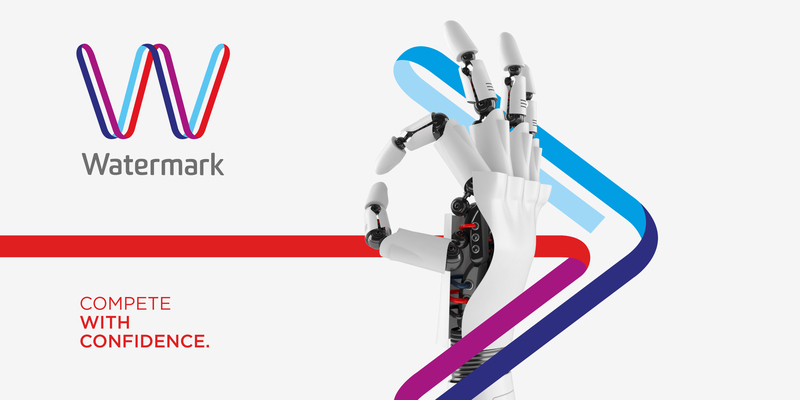 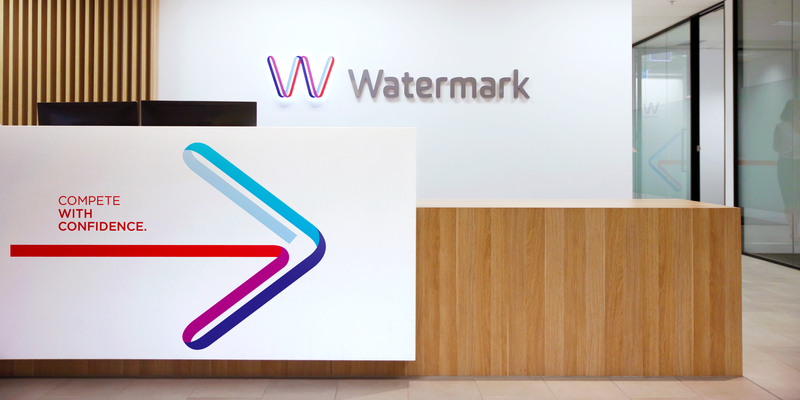 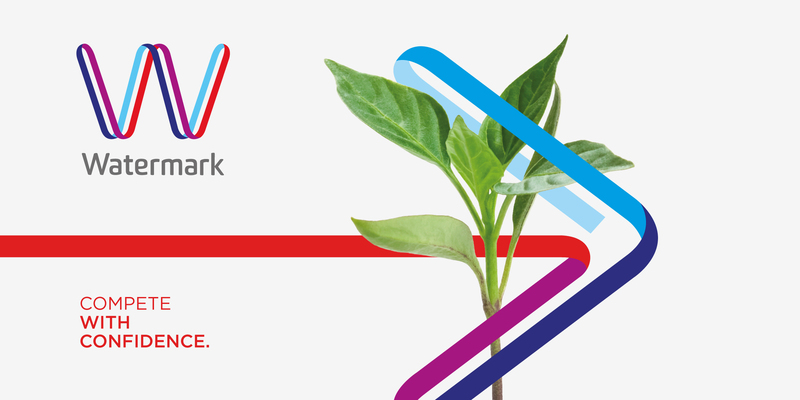 A new brand identity was needed to unite Watermark management and staff, giving a compelling selling proposition to inspire loyal customers and attract new ones to help drive sustainable growth. 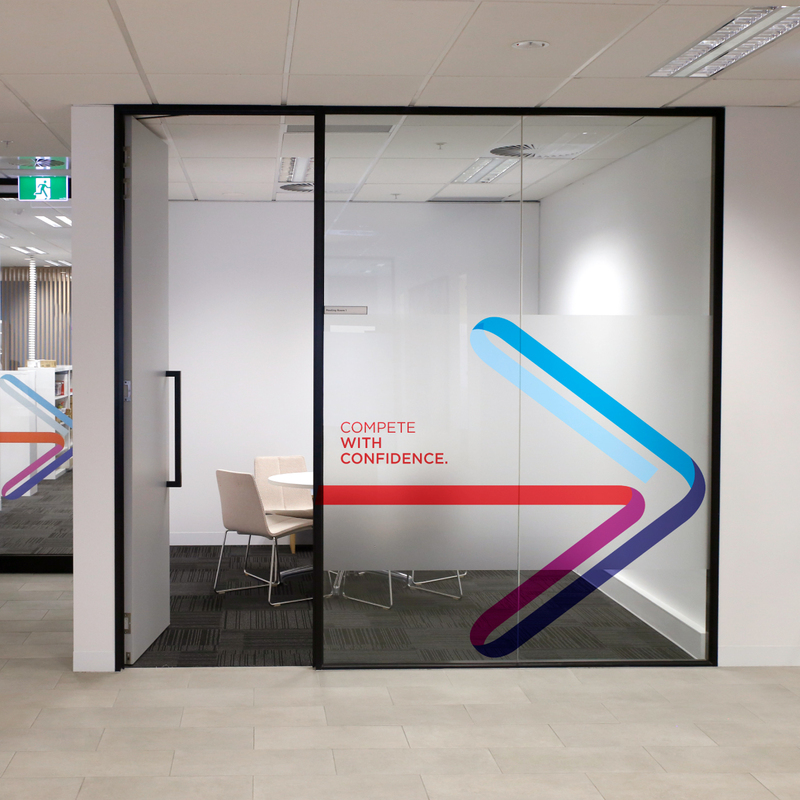 We developed the brand positioning, ‘Compete with confidence’, representing both the rational and emotional benefits. 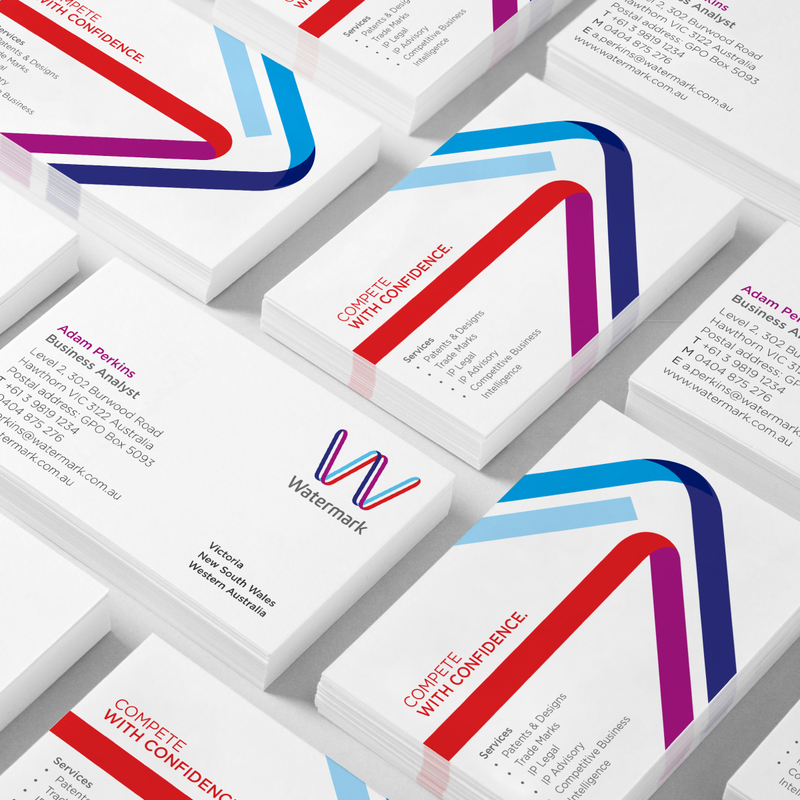 We created the ‘Dynamic W’ concept which was inspired by the notion of collaboration. 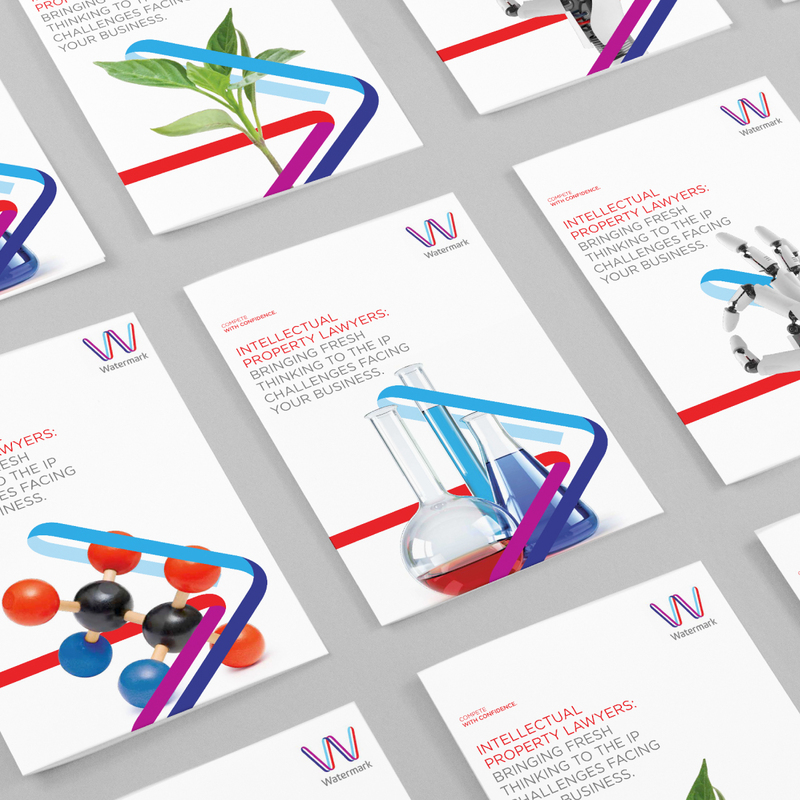 The identity system features a distinctive, iconic ‘W’ made of two flowing ribbons of colour symbolizing Watermark’s philosophy of working closely with clients. 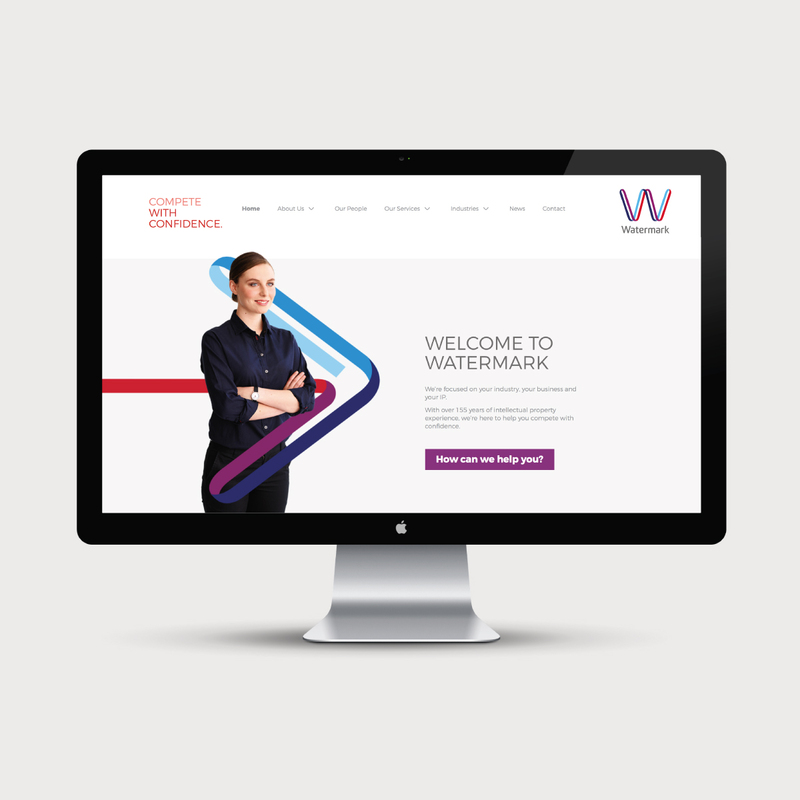 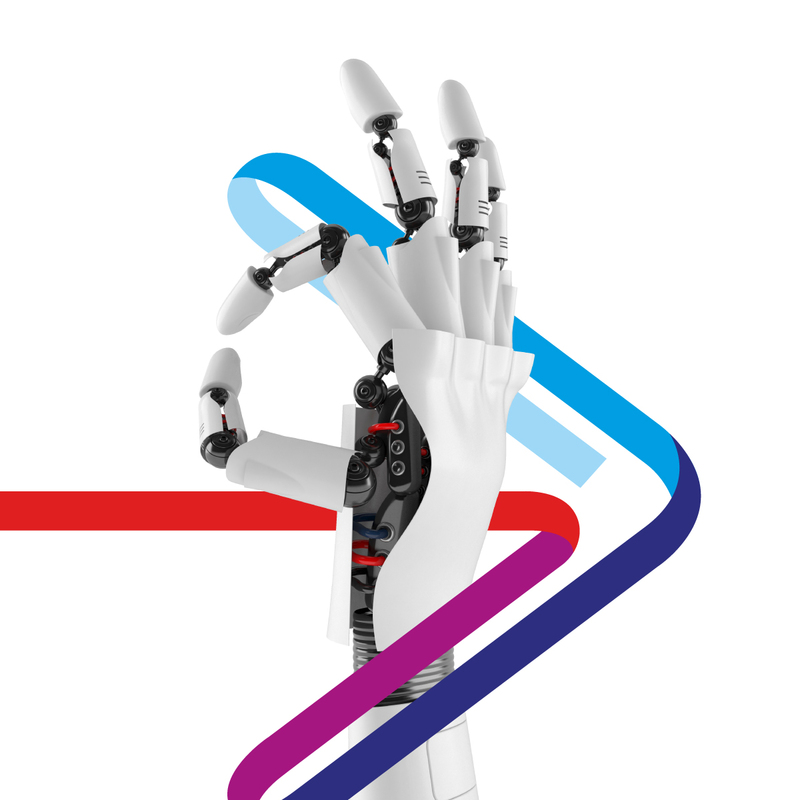 Vibrant colours that morph from the corporate red through to the magentas, purples and blues represent the diversity of offer while creating a fresh, optimistic and modern feel.